Asthma is a common lung condition that causes breathing difficulties, and it kills three people a day in the UK. Sufferers were this week warned to stay indoors in the event of a thunderstorm. While the condition can affect people of any age, new research suggests ‘flare ups’ - often known as an attack - are most likely in older sufferers. A study, presented yesterday at the British Thoracic Society winter meeting, found that those over 55 years were the most likely age group in the UK to experience an asthma attack. It happens when symptoms, such as wheezing, coughing, shortness of breath and tightness in the chest, worsen, according to Asthma UK. Researchers also found older people were more likely to endure ‘flare ups’ despite taking their treatment. Additionally, they were more likely to have an asthma diagnosis along with another condition. For example, 23 per cent also had the lung condition chronic obstructive pulmonary disease (COPD). For the study, researchers from Imperial College and the London School of Hygiene and Tropical Medicine looked at 424,000 people of all ages between 2007 and 2015. “The results perhaps suggest that we should increase our asthma care focus on the older age group,” said Dr Chloe Bloom, lead researcher from Imperial College. Older women are particularly at risk of developing asthma thanks to hormonal changes. In ‘adult onset asthma’ symptoms are less likely to be triggered by allergies, and may be set off by exercise, the flu, certain foods, cold air and cigarette smoke. According to Asthma UK, older people sometimes experience asthma more severely. They warn that even if you have suffered since childhood, symptoms can change over time. When you are older they may become less frequent, more frequent or more obvious. Additionally they may experience new triggers and they may also find their medications don’t work so well. 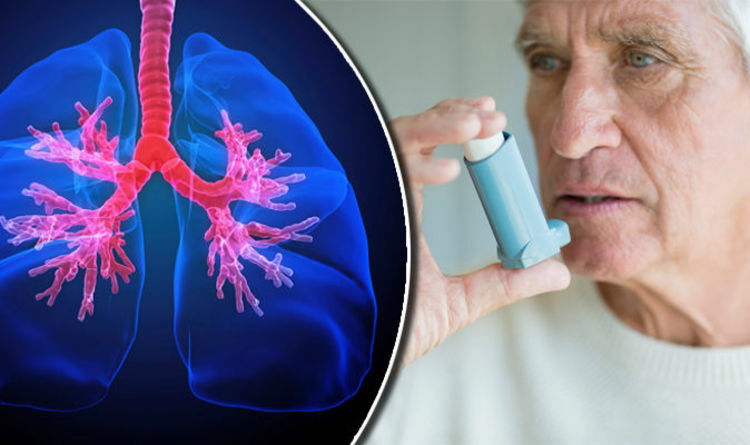 The new findings come as other research recently revealed older people who use steroid inhalers for asthma or COPD were at a higher risk of difficult to treat bacterial infections.